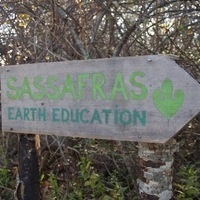 Once a month, Sassafras provides a space of support and sisterhood with nature connection at the center. Moving consciously thru the seasons and the natural cycle, we start out the evening with an activity or story that connects us to nature and the earth. We share (equally) around topics and questions that range from nature connection and personal transformation to women's equality and living in balance with the earth. We meet either outside around an intentionally tended fire (as weather permits), or inside our cozy tipi or tent, around the wood stove and by candle-light. Sharing is confidential and all are encourage to hold space together and to open to connection.